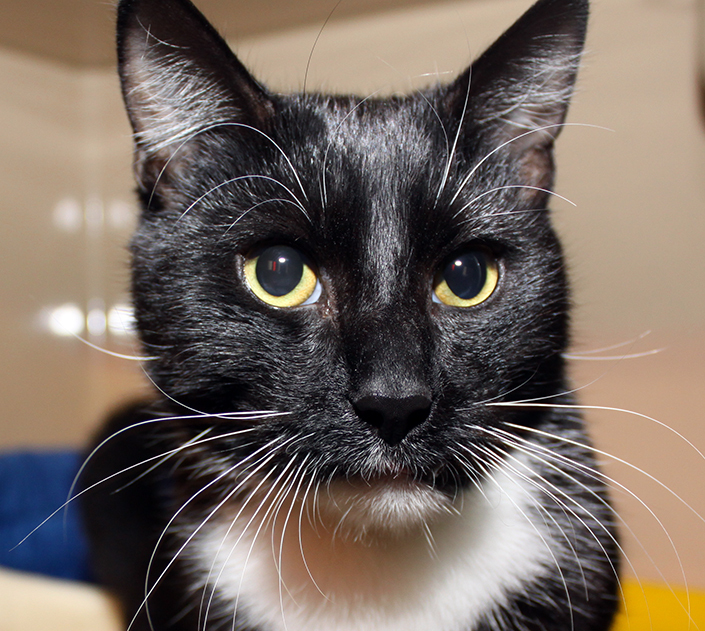 Quin - who arrived at our shelter with a fractured jaw, requiring multiple surgeries - is ready for a new home. 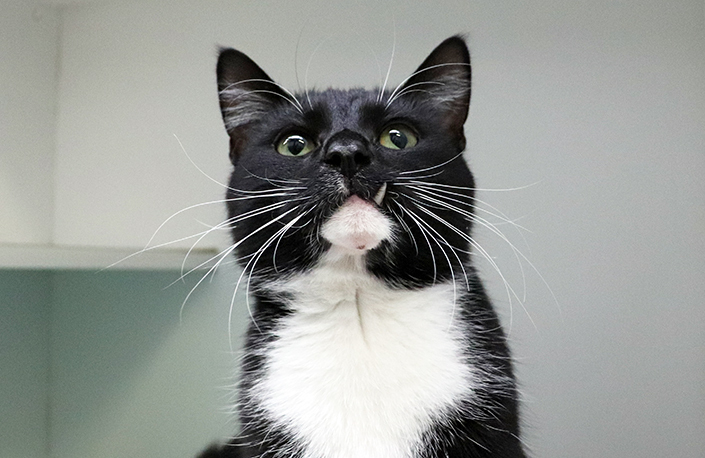 Stray cat Quin arrived at our Cranbourne shelter in June, suffering from a fractured jaw. It was an old and untreated injury, so the poor cat would have endured awful pain for some time. “Unfortunately we don’t know what caused Quin’s injury, but the fractures he sustained had already shown signs of healing,” said Amanda, cattery coordinator at the Home. Quin was found to have two fractures in his jaw; a symphyseal fracture and caudal mandibular fracture. Vets and nurses from the shelter medicine team performed a very delicate and precise surgery to wire his jaw back in place, as much as possible. Quin also had three misaligned teeth, which had to be removed under general anaesthetic, as they were interfering with his ability to eat dry food. Quin spent a month in a loving foster home before he returned to the shelter for his final surgery to remove the wire from his jaw. Although it wasn’t possible to restore Quin’s jaw to perfect form and it is still a little misaligned, he is looking and feeling better and is able to eat well,” said Amanda. 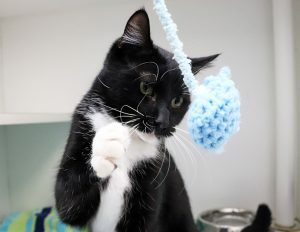 Quin is now looking for a new home where he’ll spoil his family with love, and receive the same in return. “He is a really smoochy, affectionate cat. He loves people and wants to be involved in all the fun,” said Amanda. If you’re ready for a new pet, meet Quin (ID 1031814) at our North Melbourne shelter or view his adoption profile. Quin’s surgeries and recovery were made possible thanks to the support of animal lovers like you. Please donate today to help our shelter medicine team provide treatment and care to sick and injured pets like Quin.